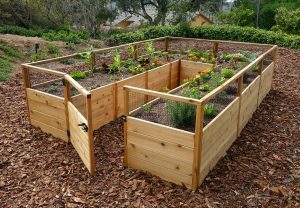 This 8’x8′ Deer-Proof Vegetable Garden Kit provides approximately 45 square feet of planting space and is recommended for families of up to four people. 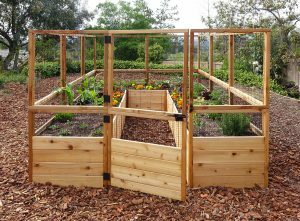 The fencing that sits atop the raised beds is backed with a heavy-duty black hardware mesh. 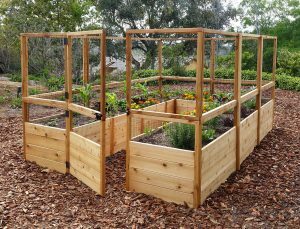 The upper part of the fencing is backed with sturdy reach-through trellis netting, so you can harvest all vegetables from the inside of the fenced garden, without having to walk around or behind the structure. 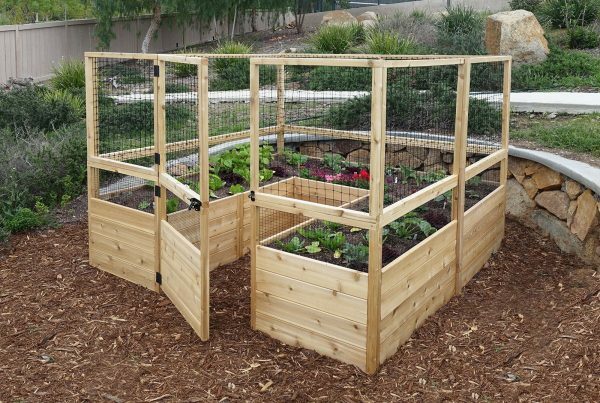 The trellis netting is ideal for growing peas, green beans, tomatoes and cucumbers. 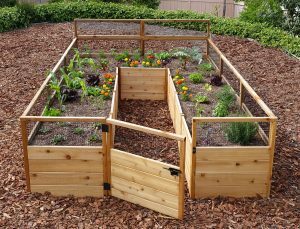 The structure will keep out dogs, rabbits and deer. 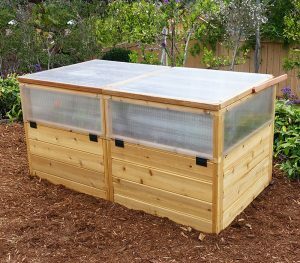 Delivery Speed Delivered within two weeks throughout the year.